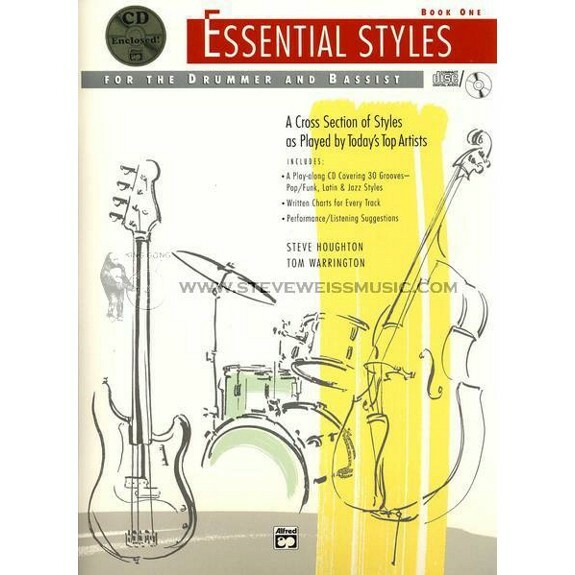 Essential Styles, Books 1 and 2 by Steve Houghton and Tom Warrington are two innovative book and play-along CD packages that teach 50 essential grooves from today's jazz and popular styles. The books include written-out charts of each selection and performance tips for both drums and bass. All of the grooves have been recorded with a rhythm section and woodwinds, with drums mixed on the left channel and bass on the right, so either instrument may be dialed out. In addition, many of the tracks contain open choruses of comping so any instrument can practice playing solos! Essential Styles emphasizes the most important aspects of solid group playing—locking-in between the drummer and bassist— providing a strong rhythmic foundation and creating an authentic feel for whatever the style demands.